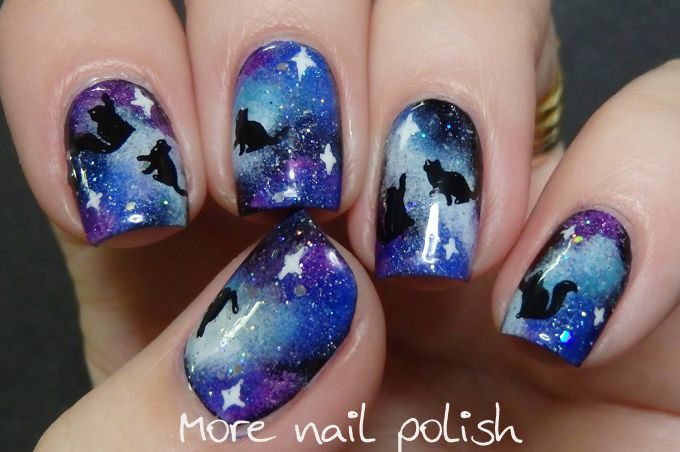 Nails: Black Cats – Luck please! The house thing is getting silly and I fancy some good luck, as such I’m hoping that nail art with a few lucky symbols on it won’t hurt! All sane civilisations consider back cats to be lucky. Stars are also a good sign. As such black cats in space must be extra lucky. Please please please can the black cats in space do the trick and get this house move done! Copyright © WhereEvilThoughts 2014 – excluding pictures! Unauthorized use and/or duplication of this material without express and written permission from this blog’s author and/or owner is strictly prohibited. Links may be used, provided that full and clear credit is given to WhereEvilThoughts with appropriate and specific direction to the original content.